This new double-bill, choreographed by Tayeb Benamara (Les Ballets C de la B) and Union Dance’s Michael Joseph, is a memorable experience of cultural influences and movements, exploring a sense of identity, belonging and happiness. 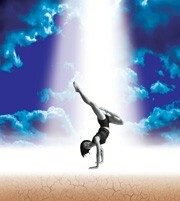 Celebrating their 21st anniversary, Union Dance combine captivating movement and stunning visual effects. Mixing contemporary dance, martial arts and urban style, they are one of the UK’s most accessible and exciting dance companies. Union Dance follow up their performance with a 4-day long dance for film project, working with a group of local teenagers in collaboration with Lancaster and Morecambe College.